Ninth School options are back on the table. The Brookline Board of Selectmen just announced that they are considering using land at Pine Manor to build a ninth school. But, say selectmen this does not mean that the Baldwin School Site is off the table. The President of Pine Manor College Thomas M. O’Reilly previously told this reporter that he would not consider selling part of the land to use as a spot for a ninth school. However, at a joint meeting in executive (private) session held on Sept. 19, the Board of Selectmen and School Committee voted independently and unanimously to expand the sites under consideration for a new 9th school to include the acquisition of a 7-acre parcel of privately owned land located on Heath Street, according to a press release. “This site is under consideration because it offers the Town an exciting opportunity to create an extraordinary 21st century school that would enable incorporation of the site’s natural topography and resources into the students’ educational experience, while also preserving the land for desperately needed public use,” reads a press release. Pine Manor College is the owner of the land and has already subdivided a portion of the parcel into three large single-family house lots, placing them at risk for future development. Characteristics of the parcel that prompted the Town’s interest for the 9th school site include its size and proximity to the Baldwin property, which has been the subject of traffic and related analyses that are in many respects transferable, along with its documented vulnerability to future single-family residential development. The site offers the residual benefit of retaining open space at the Baldwin School property and continued use of the Baldwin School building for other public school use. 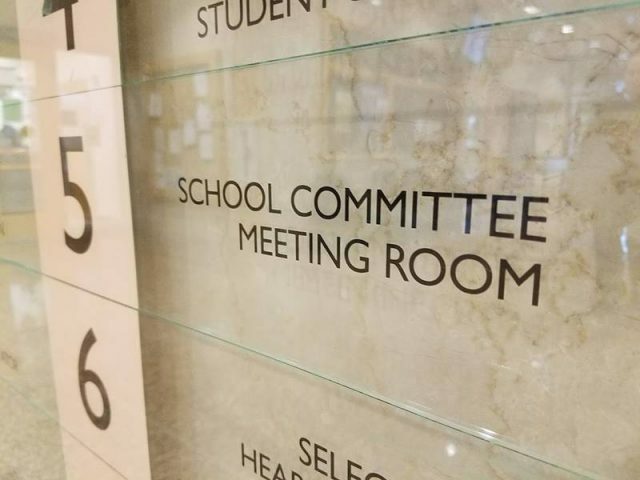 The Town has reached out to Pine Manor to communicate its interest in siting a school on the site, along with the Town’s interest in discussing strategic collaborations with the College intended to benefit both the College and the Town. The immediate effect of the Board of Selectmen’s and School Committee’s votes will be to initiate further study and obtain public input on the additional property prior to a final decision. This announcement about the expansion of focus to include privately owned land does not remove the Town-owned Baldwin site from consideration, and further study of the site is necessary. In late August, the Town was advised by the National Park Service that the Town’s 1975 acceptance of a modest grant to improve the tennis courts at the Baldwin site permanently restricts use of the land adjacent to the Baldwin School, despite the fact that Town Meeting acquired the property back in 1941 for school use. The Town remains open to the possibility of appealing this determination or replacing the disputed land with other eligible land at another site. The next milestone for the 9th elementary school project will be the Special Town Meeting commencing on November 14. Article 5 of this Town Meeting Warrant seeks authorization to expend design funds at either the Baldwin property or a different location. The Board of Selectmen and School Committee will announce shortly a process.